Malware is still too easy to build, easy to deploy, and easy to monetise. Ransomware has been revealed as going up in popularity, according to the latest research from Verizon. The company's latest 2018 Verizon Data Breach Investigation Report has identified ransomware as the most popular malware type, having investigated more than 50,000 incidents, more than 2,200 data breaches and 67 contributors, all over the world. Attackers are getting a bit more sophisticated, too. They're not just throwing a net, encrypting whatever machines they can grab – they are specifically targeting business critical systems. And yes, they are asking for more money with each passing day. 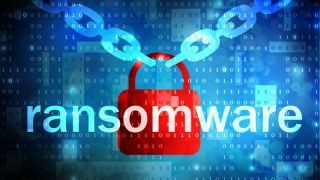 "Ransomware has been on the upswing the last few years and continues to become more ubiquitous," said Dave Hylender, senior risk analyst at Verizon Business. The report claims that ransomware's popularity lies in the fact that it's very easy to build and distribute. The risk is minimal, and there's no need to monetise stolen data. Ransomware is a type of malware which encrypts data on an infected machine and then asks the owner to pay ransom to get the decryption key. Cyber-security tools are finding it hard to tackle this issue because encryption alone isn't a malicious activity.